Now that I just re-read them I can no longer sit still. I wish I had a 50 degree pool to strap myself into but, instead, I’ll just head out to my gym. 2 heaping tablespoons nonfat milk solids? 75 alfalfa and kelp tablets? Now how in the name of Lalanne himself can a man absorb that? Wouldn't he just piss it out??? Why hasn't such overdose caused Jack any health problems? Plus he's always ranting about how exercise physiologists, nutritions, and doctors don't know what they're talking about. Hard to argue, really. Remember that RDAs are set by a group trying to deal with outside influence (lobbys) and come up with one set of numbers for all humans. Actually, it seems a bit ridiculous when you think about it. Given the choice of theoretical and example, I'll go with the one who actually lives it. btw, I've never tried bone meal. I'm going to have to add that one. It's worked well for him! "People work at dying, they don't work at living." Anyone who pulls 70 boats with 70 people across Long Beach Harbor (with his hands and feet bound) on his 70th birthday is, perhaps, cuckoo. But it when it comes to health and fitness I'm going to listen to that guy with a lot more interest then some donut eating yahoo that spent a few years in a classroom. Fitness and nutrition are applied science. I'm championing the guy who applies it best. I do agree with that, but his methods are old school. It is true that old school is sometimes way better, but to be honest we have to take advantage of every single modern era science. Having that old school attitude is good and I abide by it most of the time, but when it comes to complicated stuff, modern day science works. And of course you can't really compare Jack to some retarded fat guy who took some bio class in high school. 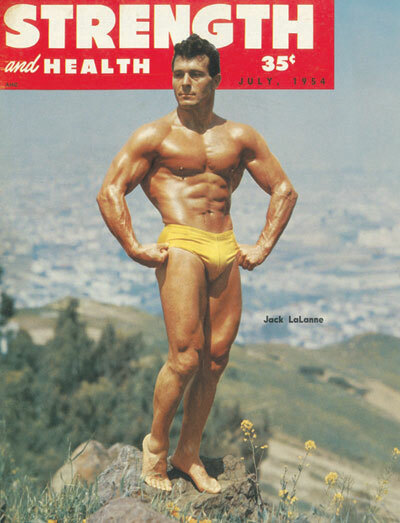 Lalanne indeed is the father of fitness. He was a true pioneer and there is no doubt about that, but modern science in it's own category is right. I am 24 and to me Jack is incredible. He motivates me. I want to be 80 years old and see my great grandchildren. He is an inspiration. And anybody that says crap against him doesn't know what their talking about. He's probably outlived your whole family line. @anonymous, he was great but not mine. My grand mother got to 104. She wasn't a great cook but she out lived her children. Her only vice was baseball and she swore by rhubarb (beats me). The only thing broke down on her were her eyes that she had surgery on and was able to see perfectly when she checked out of this planet. I think ya go when you go but quality of life is what we should strive for. At least that's why I've decided to get it together. 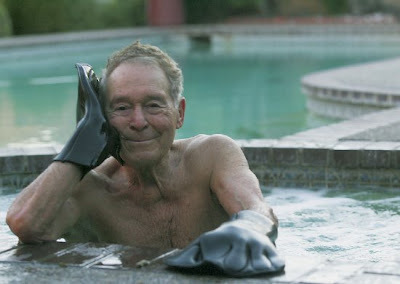 jack la lane was a chiropractor....he had a franchise of gyms that i was a member at. in port chester, ny.